Was He: . . .the Son of God? . . .the man who gave sight to the blind, made the lame to walk, and raised people from the dead? . . .the One who died so that we might live? . . .all of the above? Journey along with Jesus on the Sea of Galilee, on the hill called Golgotha, in the very center of God’s amazing power! This biblically accurate story of Jesus, the Son of God, created just for the kids in your life, explores the life of Jesus while drawing 8- to 12-year-olds into a fascinating time and place as they learn about the One who gave sight to the blind, made the lame to walk, raised people from the dead, and who died so that we might live. 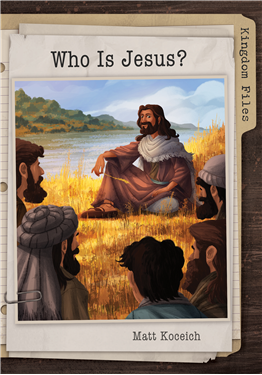 Featuring three key sections—a Fact File, an Action File, and a Power File—kids will enjoying learning about the life of Jesus while coming to understand that an ancient Bible story really does apply to their lives today. Dozens of captivating line art pieces add depth and interest to every chapter.